Scarcity: [skair-si-tee] noun - the state of being scarce, or in short supply; shortage. For those who lived through the Great Depression times were tough. People had to use what little they had. Most lived by the saying "use it up, wear it out, make it do, or do without." In our current day we have more access to abundance and richness than has ever been seen in history. We live better than most kings did. Our modern curse is not a lack, but a glut. So why do we still suffer from a mentality of scarcity? We worry if there will be enough room, food, leisure, money, toys, time, jobs, resources, friends, etc.... The list goes on and on. Some mild feeling of scarcity may be healthy, but taken to excess it is ugly and creates greed, jealousy, and even hatred. Scarcity itself is a result and companion of selfishness. Lately I've been trying to understand why the things I view as positive and enjoyable draw so much negativity from some. I'm well aware that in life it is nearly impossible to please everyone. I just wish we could all get along. 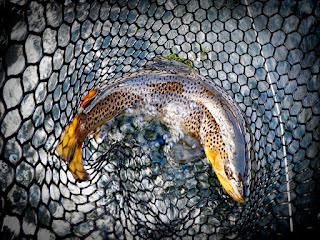 In the fly fishing community we all have a common joy, so why does there have to be so much judgement and criticism. As I see it, we are all still learning and trying to become better anglers to better enjoy our sport. I know I for one would much rather fish next to someone trying to learn, improve, and be a better person in general, than an angler who is ignorant and selfish and trying to hog the water. I would much rather be someones friend than their object of criticism and scorn. 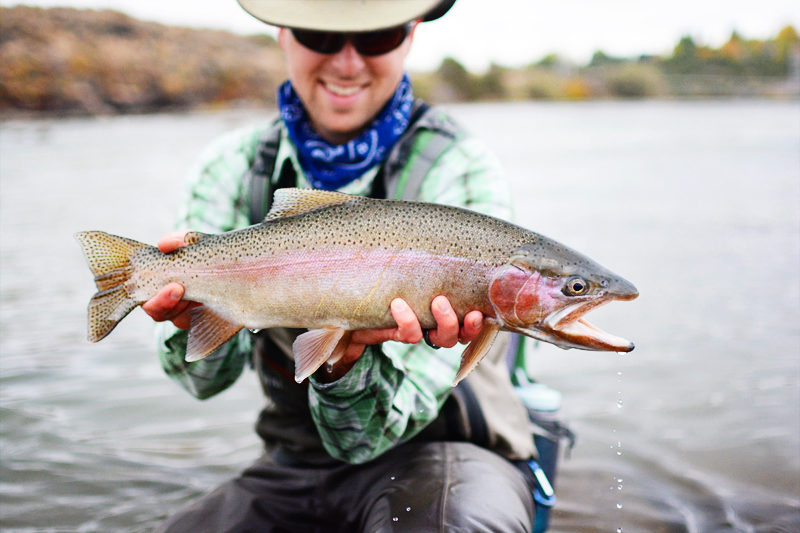 From what I can tell much of the negativity found in the fly fishing community springs from hidden feelings of scarcity and selfishness. I see it in myself and others. We worry there won't be enough space to comfortably fish, enough solitude, enough good fish to catch, or any fish to catch in general. We worry about the impact many people will have on the fewer resources. And even if we realize there is enough to go around, we simply just don't want to share. We humans like to think we're original and that our "secret" spots are only ours. There is great satisfaction in finding or figuring out a place all on our own, so when we make a breakthrough the new-to-us knowledge is fiercely guarded from people we don't want to know. We resent others when we realize the secret is not exclusively ours. We tend to resent it even more when unintended people learn information that we did not give willingly. The irony of this whole predicament is that we too were once ignorant to the places we like to fish, many of which were shown by a friend or acquaintance, or were discovered because someone else eluded to those places in picture or story. One moment we are standing on the outside of information regarding a desirable fishing location, wanting to know. The next moment we find out about the place and realize the potential for good fishing and immediately turn into the "this is mine and I don't want anybody else fishing it" angler. We ignore the fact that we were once ignorant of the place and either had to discover or be shown it ourselves, and if there were someone like us already fishing that spot and they had it their way, we would not now know how cool that fishing location is. 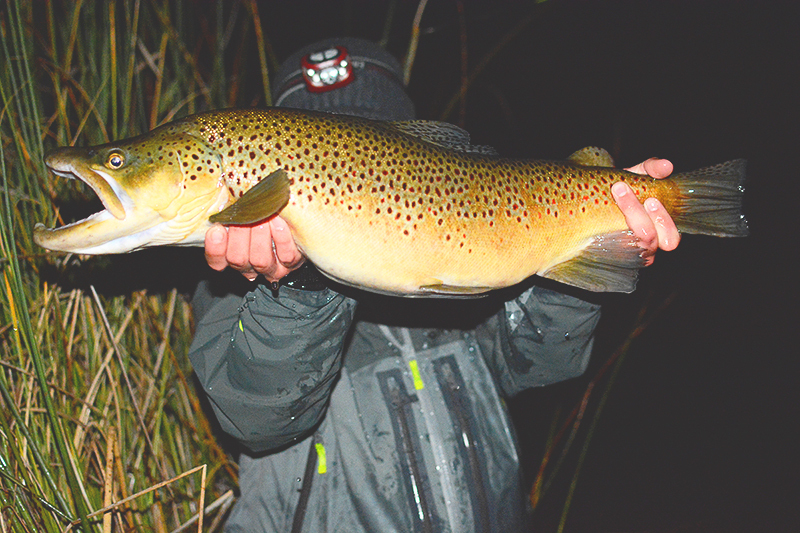 Who is to say that we, ourselves, are not the "one too many" angler that we dread. And if we were in some miraculous way to realize we were the "one too many," would we be willing to stop fishing that place? The whole situation is quite silly really, and smacks of hypocrisy and yet we are all guilty of it to some degree because of those deep-seeded feelings of scarcity and selfishness. I don't claim to have the answer to this dichotomy that so truly is a part of our human nature. But because I see it in myself, and I loathe the negativity it generates, I'm always looking for a way to balance. Oftentimes the best way to deal with a negative situation is to examine the motivation behind the actions that brought the situation about. In this case, selfishness and scarcity would be the motivators. When I accept that, and try to replace it with the opposite motivation of generosity, I find that my actions change, but my resulting experience is no less. As best I can see it, the answer is to SHARE! That age old lesson we learned in our days of yore. Now I don't mean listing GPS coordinates with specific tactics. I don't even mean that we have to tell people any details about where and how we are fishing, at least not on the open internet. What I do mean is good river etiquette. 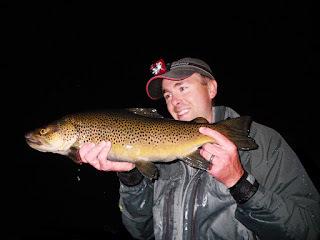 I have found on many occasions that simply striking up a conversation with a stranger on the river results in a much more comfortable situation where you can at the very least fish around each other and not impose. It's a lot like driving in our cars. When you feel that spark of road rage for the person in front of you who is clearly driving stupidly, does it change your feelings if you were to realize that person was your grandma? Connection and communication (sharing in a sense) changes a lot. I love fishing so much that when I don't make an effort to keep it in check my family suffers. Also, because I am so passionate about angling I find myself doing everything possible to surround myself with it; reading about it, talking about it, dreaming about it, writing about it, taking pictures of it, developing new-to-me ways of doing it, looking for new places to do it, and making new friends who also like to do it. I get flack because I maintain a presence on social media. Some is from complete strangers, some from acquaintances, and a little even comes from good friends, because I choose to share pictures, stories, and other information online. The flack from strangers and acquaintances usually trickles through the grapevine till it reaches me. Rarely do these people seek an open discussion about the topic, which is unfortunate considering that some of my best of friends have differing opinions on the matter and we are still great friends. Instead many choose to let feelings of resentment and disapproval fester, chewing on the negative criticisms again and again among their "friends". Maybe it doesn't come across this way, but I do make an effort to not openly share most locations I fish on the internet. I try to respect these places by not inviting the masses with extremely telling pictures or stories. 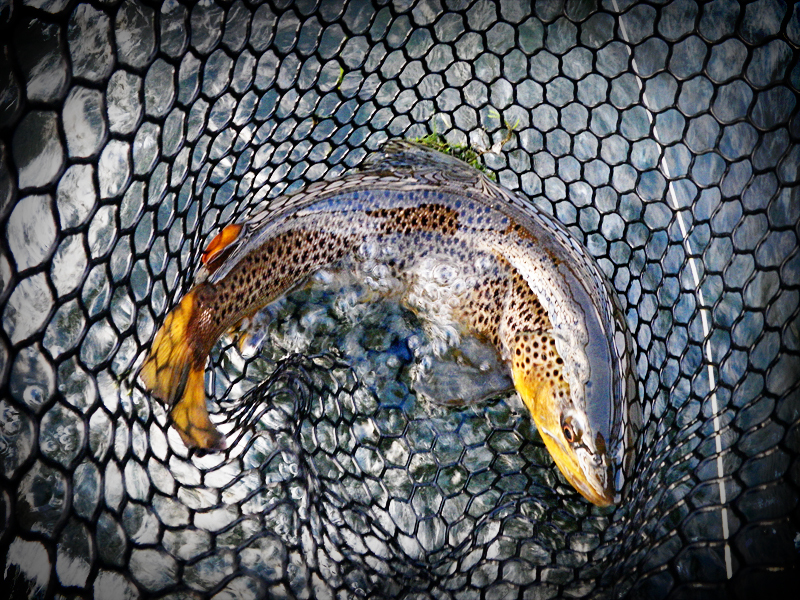 Those who know the places I fish, can tell simply from the fish themselves though, and I make no effort to deceive. I'm well aware that the internet has turned us all into takers. It's the sad truth. So much information is free that we have come to expect everything to be free, without even thinking to thank those who provided it. We are all guilty of it. In this setting people worry, myself included, about the impact Instagram, Facebook, and other forums have had on fishing locations. Especially when those posting make an open invitation to fish a place that could struggle from excessive pressure. It comes back to the struggle of balance between sharing and respecting a location, with scarcity and selfishness hiding somewhere in the mix. The internet has certainly changed the face of the fly fishing world. Google Earth itself has made what was once a tedious exercise in exploration, as easy as click, click, zoom. We have powerful tools of exploration at our finger tips and sloughs of motivating media in pictures and videos of beautiful fish that push people toward waters that were hitherto only known to locals. I can't see this changing anytime soon. As much as we want to blame social media for diluting our fishing experiences, I still think the biggest problem is from person to person interactions. 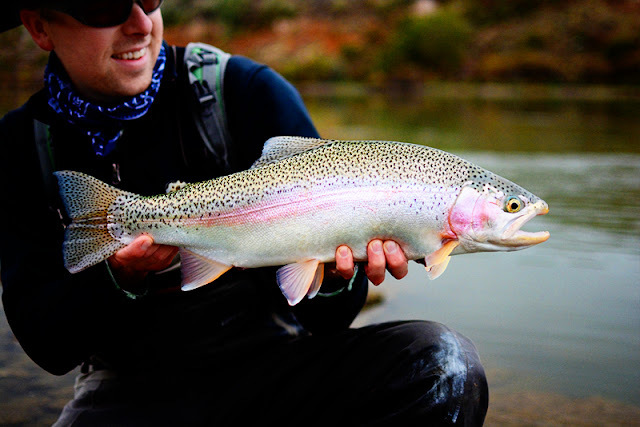 Be it in the moment river etiquette or from information given to a fishing companion. Two of the times I was the most frustrated with a person, and how they treated a given area I fish, came because of a disrespect for the information that had been given. The frustration was not because the person I showed was fishing the places, but because that person used the good fishing location and techniques I showed them as a bartering chip. It was clearly a means for getting attention from other people. "I'll show you mine if you show me yours" or "I'll show you this awesome place to fish so you will think I'm cool." Sadly, there will always be people who fail to respect our resources, but social media is less the cause than the outlet for such issues. There will always be bottom feeders in the fishing world, with or without social media. Fortunately, those who still want solitude or excellent fishing can still have it. Those two things will always be protected by a firm barrier of work and effort. They say that 80% of fish are caught by 20% of anglers. That is partly because only 20% are willing to walk that extra mile, or stay that extra hour into the twilight, or go when the temperatures drop below freezing, or stick with a singular technique until they find success in it. You don't have to be a pro. Heck, you don't even have to be that good. You just have to be persistent in solving the puzzles fishing presents, and many aren't willing or want to do that. The 80% would rather spend time catching than fishing, which ironically keeps them in the 80% category. In the end I think the networking power of social media is an overall positive thing. Literal and proverbial dams come down when we work together. When we fight, how cool would it be if it were for our sport, not amongst our sport. Let us learn to rejoice in other people's catches and opportunities to fish. Tearing others down simply because we want more to ourselves or want to be first will only lead to a pretty miserable existence. Holding grudges and harboring those bad feelings is a lot like taking a drink of poison and hoping it will kill the other guy. I think we all would rather be someones friend instead of their enemy, and fishing is a pretty silly thing to make enemies over. So if you see me on the river, or around town, or just on social media, don't be a stranger, there's plenty of water and kindness to go around.